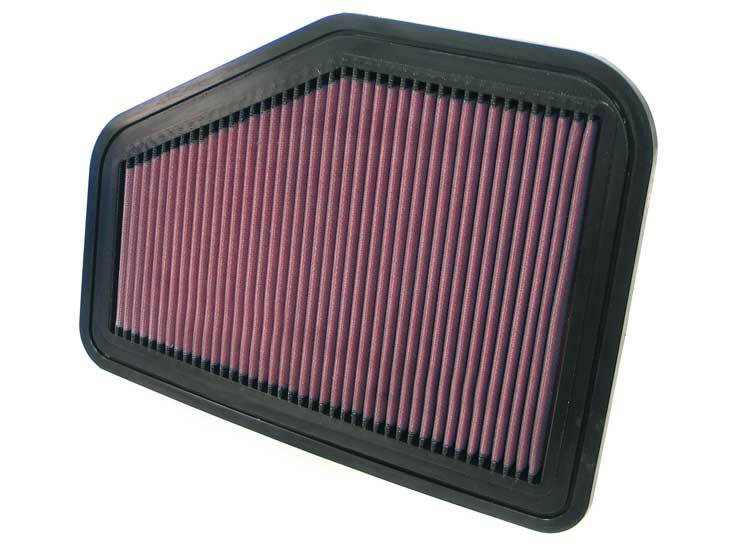 Replace your old factory air filter with a high-performance K&N Drop-in Air Filter for your Pontaic G8. Replacing your air filter with the K&N Drop-in Air Filter is the easiest upgrade you can make to your Pontiac G8. The K&N Drop-in Air Filter is a direct OEM replacement making installation really simple on the Pontiac G8. The cotton gauze filter elements of the K&N Drop-in Air Filter will provide maximum filtration and airflow for your engine. This will make your engine work less, increasing the power and improving throttle response on the Pontiac G8. When your engine works more efficiently, your engine will use less gas, and when your Pontiac G8 saves gas, you are saving money. With the K&N Drop-in Air Filter, you never have to replace the air filter on your Pontiac G8 again because the K&N air filter is washable and reusable.